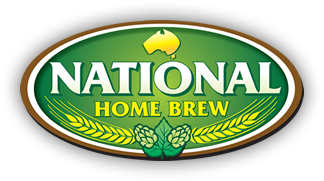 I thought it was about time to add a post about a site I am developing, brewerschronicle.com. 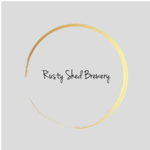 For quite a while I had a basic system on my personal website which logged all my brewing efforts. But the manual nature of this system bugged me so I decided to go all out on a website completely geared towards capturing all data points throughout each process, enabling brewers to record as much or as little information as they wanted. The more data you record, the more consistent you can become. 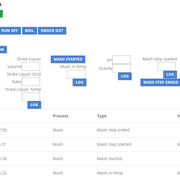 Currently the site allows you to record information across each section of the brew day using the brew day interface. This allows you to record readings for mash, lauter, run-off, boil, whirlpool, chilling, and knock-out sections. You can turn off any section that you don't do or don't want to record readings for. Each section has it's own set of relevant readings. The ferment section of the site allows you to record temperature, gravity, pH and cell counts. Temperature and gravity readings are displayed on graphs for some eye-candy. 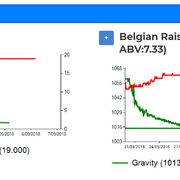 The dashboard displays current ferments with all temp and gravity readings plotted on the graph. It also includes the Estimated FG reading giving you a quick visual on how your ferment is tracking. You can quickly enter temp and gravity readings on the dashboard. ABV is also automatically calculated and displayed on the site based on the Actual OG reading and the latest gravity reading. I am currently finishing up on integrating Tilt devices for automatic recording of temp and gravity readings onto the relevant ferment log. Next on the list is the iSpindel digital hydrometer, which will also automatically post temp and gravity readings to the allocated ferment log. My plan at this stage is to allow free use until the new year, where I will then start charging for site usage. At this stage the free subscription will provide you with 12 ferment slots per year, and you also miss out on the ferment readings template feature. At this stage I'm thinking around $25/year but that's not finalised yet. It will end up being around that level though. There will be no limit on ferment log slots for this subscription. Professional subscriptions add team management and unlimited ferment reading templates. Future features will include packaging recording, and excise calculations. There's a bunch more features for the site, but I don't want this first post to be too long (whoops, too late). Read the knowledge base to get a full overview of the site and all it's features. One thing to point out at this stage is that the site does not do recipe design. I figure there are enough great software offerings that offer these features, but I feel there is a lack of offerings which do everything after the recipe design process. Sorry for the long first post. You deserve a beer after reading all this. 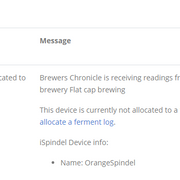 So this week sees the release of Tilt and iSpindel digital hydrometer integration into Brewers Chronicle. You can register the device with your brewery, allocate a ferment, and it automatically records the temperature and gravity readings to that ferment. As with manual gravity readings, the dashboard will display a graph for each ferment plotting temperature, and gravity readings. The Estimated FG reading gives you a quick glimpse as to how the overall progress of your ferment is going. 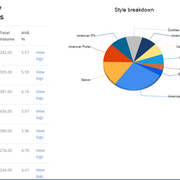 The graph also displays a calculated ABV figure, so you have all the important figures at a glance in the dashboard. So December saw the finalisation of website plans. There is a personal free account, a personal paid account, and a professional account. Please view the Plans page for a full overview. The personal-paid account is $4/month. Personal paid allows unlimited ferment slots and 5 ferment templates. It also allows use of the API so you can integrate Tilt and iSpindel hydrometer devices. Professional allows unlimited ferment slots, unlimited ferment templates, API access, and team management. I have also implemented an Alerts system to communicate import system messages to users. Unallocated iSpindel: Receiving readings from iSpindel device not allocated to a ferment. Been using this for a while now and really liking it! Angus is also really helpful when sorting out issues or when I make silly mistakes and things don't work! Looking forward to setting up my iSpindel to work with it! Will be happily paying the $4/month! 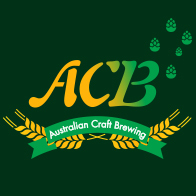 So I'm not sure how many people are using CraftBeerPi to manage their ferments, but I am close to finishing off changes to the website to allow you to create your ferment schedule. I'm writing a plug-in for CraftBeerPi which transmits temp readings to Brewers Chronicle. it also retrieves the latest ferment target temp from BC. So entering in gravity readings manually (or if you use an iSpindel or Tilt device to automatically log gravity readings), will update the target temperature based on the schedule. When a gravity reading crosses into the next step, BC updates the target temp, and CraftBeerPi will retrieve that updated temperature. So the result of BC + (iSpindel or Tilt) + CraftBeerPi = a completely automated fermentation process. I will also be implementing a trial period for users who have the personal free subscription to use the API to integrate Tilt or iSpindel devices into their profile. This will allow them to experience the power of these devices posting temp and gravity readings automatically. This will allow you to analyse the effects of pitching rates, different ferment temp schedules, etc on your ferments and start improving the fermentation side of your production. Dates and times recorded into the site are all in the "E. Australia Standard Time" timezone. The latest release of changes to the site allows you to select your current timezone. All dates and times recorded are automatically converted to your local timezone and displayed in the site.